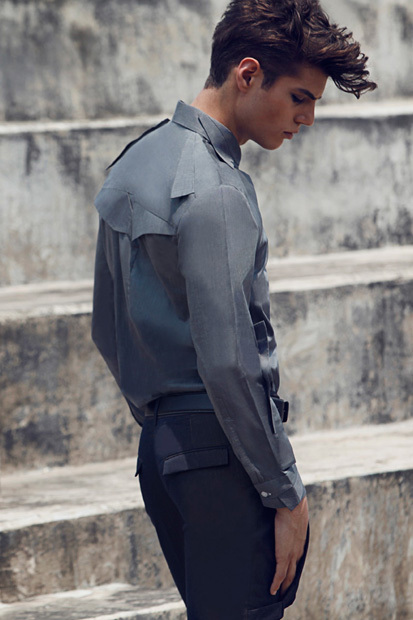 Thai designer Sup Suphanut Suwansanya and his menswear label 10/10, displays an array of contemporary clothing inspired by a broad spectrum of influences including geometrical shapes and anime (i.e. Gundam). 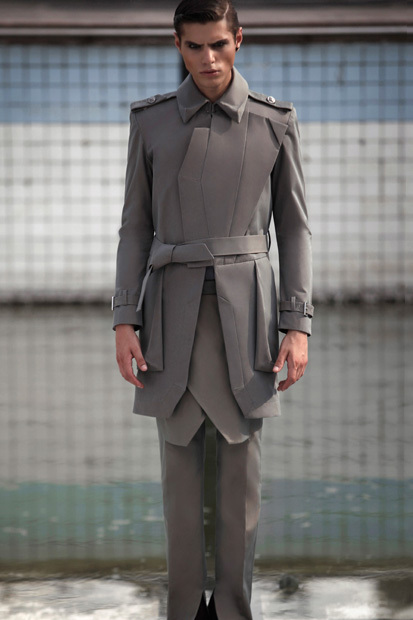 I love the range how the design blended the tailored clothing, streetwear, and the avant-garde with a futuristic twist. Of course, this is not the first someone has not given a futuristic approach to their collections. However, its much refreshing to see its from a collections you normally don’t from in many fashion magazines. Due to the era we will live, its not unusual to see how carbon copies hit the runways, streets, or anything in natural. This collection was retroactively inspired with a futuristic twist, which is cool to rock in the present. This collection is indeed dope! 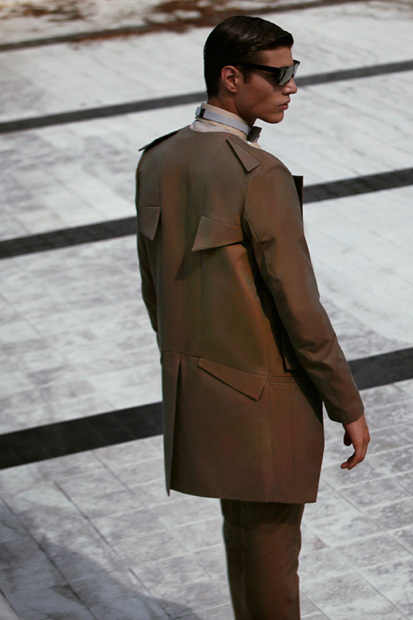 This entry was posted in Fashion (Chic) and tagged 10/10, Fashion, futuristic, lookbook, menswear by Wu-chicDO. Bookmark the permalink. Def very different. Unusual structures and very futuristic looking.